H.J. Martin was a big winner at the Starnet Worldwide Commercial Flooring Partnership annual meeting, held April 16-18 in Tucson, Ariz. 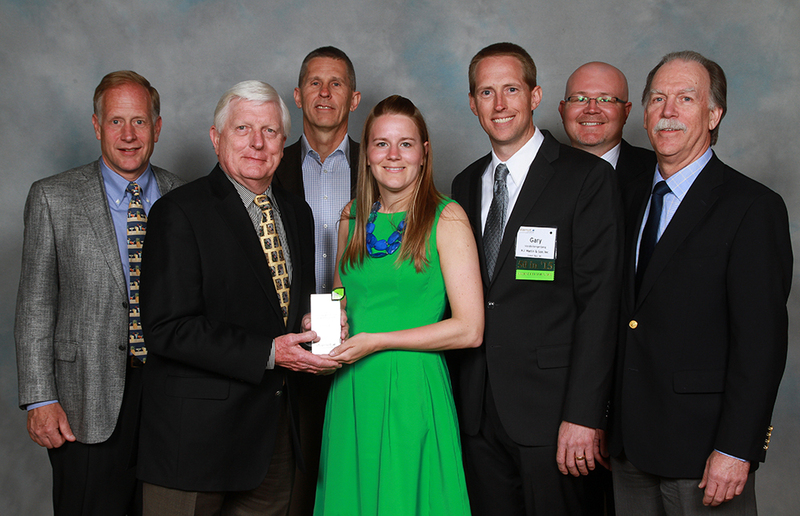 The company was honored with a bronze 2015 Starnet Environmental Stewardship Award. It also was the bronze award recipient in the Education category of the annual Starnet Design Awards. The Starnet Environmental Stewardship Award is an annual honor recognizing Starnet member initiatives “to preserve our resources so future generations can meet theirs too.” Judging is based in part on consistency in helping to bring “a greater knowledge and awareness for a healthier planet. In being honored for its environmental stewardship, H.J. Martin specifically was recognized for the carpet it diverts from landfills, its recycling of warehouse materials and its donation of excess flooring products to non-profit organizations, among other best practices. “It’s gratifying to see our efforts to be eco-friendly, through LEED certification and the CARE recycling program for post-consumer carpet, draw national recognition,” says H.J. Martin CEO Edward Martin. At the 17th Annual Starnet Design Awards (SDA) Ceremony, held April 17, the work of H.J. Martin on North Greenville Elementary School was honored with a bronze award among 24 total entries in the Education division. North Greenville Elementary School in Greenville, Wis., is a new K-4 instructional facility completed in August 2014, built to alleviate overcrowding at the city’s other elementary school and to ready for future population growth. Large, collaborative spaces with fun colors and patterns were desired, and classroom wings by grade were established that corresponded to flooring colors. Five different colorful designs of Armstrong Imperial Textures VCT (approx. 45,000 SF) were utilized in the classroom areas and corridors, including fun way-finding elements such as checkered patterns. Vivid, contrasting colors were installed, like red and black. The “fun” theme extended into the music room, where an intricate piano design using Armstrong VCT was installed. A variety of other Starnet products were used throughout the school, including Daltile Continental Slate Tile in the cafeteria commons, Daltile Quarry Tile in the kitchen and food service area, Daltile Keystone and Semi-gloss Tile in the bathrooms. Johnsonite Stair Tread and Reducers were utilized in step areas. Other materials utilized throughout included CHAPCO Defender, CHAPCO SmoothFinish, CHAPCO Deep-Fill Patch and HENRY® Clear Stick and Cove Base adhesive. The project was completed on a tight time frame, with a hard completion date in order for the school to be operational for 2014-15. With its size and available resources, H.J. Martin was able to utilize 22 installers to ensure an on-time finish. Five tile installers worked under the direction of Rob Schultz and Rob Pomeroy oversaw 17 resilient/carpet installers as the on-site foremen. Miron Construction of Neenah, Wis., served as the general contractor on the North Greenville Elementary School project. The architect was Blue Design Group LLC, located in Hortonville, Wis. The work of H.J. Martin in the Education industry is wide ranging, from K-12 buildings to a variety of college and university facilities. The Starnet Design Awards each year spotlight the innovative use of flooring in commercial design. The winning projects are selected by a panel of Architectural and Design professionals. Starnet represents more than 170 locally owned, full-service flooring contractors throughout North America. H.J. Martin is one of three Starnet members in Wisconsin.